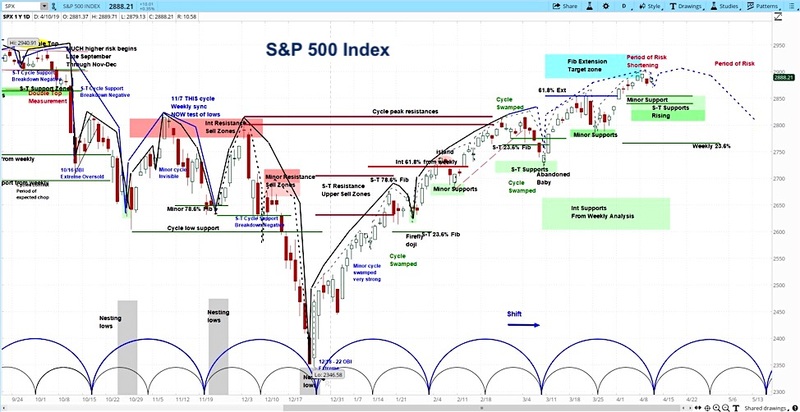 Our approach to technical analysis uses market cycles to project price action. Our analysis of the S&P 500 this week is for a rally up to the top of resistance, maybe threatening the previous peak of 2940. Then we expect the rally to briefly falter by the end of April, with risk of a sizable correction into late May, before the rally picks up again.